As a reminder: guests are welcome to comment and participate in these discussions, but please leave the addition of items to members. "Ideally, every choice is a good choice." _7_ Caverna: The Cave Farmers New! Gaming Notes: There is too much to talk about. Ask questions and I'll tell you no lies. I'll write about the others later, but the most interesting game I played last week was Concordia. There was a lot of buzz around this one at Essen, so I made it a priority to get to the table. And it's good. It's not going to knock your socks off with its innovation – we've seen all these mechanisms before – but it all works and just about manages to be more than the sum of its parts. The game has a similar rhythm to the Rondel games, collecting resources through various means, spending them and building up slowly. If you've played any of those games, you might be familiar with the feeling of being out of step with the other players, sometimes to your advantage, but more noticeably when it's to your disadvantage. Concordia gave me a similar feeling: there were times when I wished I could take a double turn to catch up, hoping the other players wouldn't work out what I was planning. There were also rare moments when I felt I could do my own thing unhindered. Although the action system is cards rather than a Rondel, it produces a similar result: small, fairly quick actions with a restriction on how soon you can repeat them. In Antike, Hamburgum etc. you can't repeat the same action over and over without paying a premium to move further around the Rondel. In Concordia, repeating the same action involves playing a Tribune card in between to get your cards back. It's a system I've seen before in Kreta (and probably somewhere else I've forgotten) but there are a couple of really nice additions here that make all the difference. First, you can buy new cards to add to your hand, increasing your options and reducing the number of times you need to play Tribune to get all your cards back. This is the quasi-deck building aspect of the game and allows you to attempt various strategies whereby the cards you buy will complement your plans on the board. Second is the Diplomat card, which is a very clever addition that really makes you pay attention to what your opponents are doing. It allows you to copy any action played by an opponent on their most recent turn, so you can effectively use it as a duplicate of one other card in your hand, or to gain access to a card that you haven't personally purchased. In our game, Architect was cloned a lot, to enable more movement and building around the board. I bought the first Colonist card but soon realised I needed to be careful about when I played it, otherwise I'd be giving other players easy access to that unique ability if they played their Diplomat. We had the question arise of whether previously played cards should be open information or not. We played that your cards were stacked in a pile, so you could only see an opponent’s top card, however, it's definitely useful to know which cards opponents have played and which they have left, in order to check whether they can interfere with your plans. Some players may prefer to have all played cards face up for inspection, as otherwise players with good memories could have an advantage. Of course, the cards an opponent has left will depend on which ones they've bought from the card row, so unless you've been following that closely you may not know exactly what abilities they have available to them. "Surprise! I do have another Architect!" Anyway, I don't recall paying this much attention in Kreta to the cards opponents have played, so this is definitely an evolution of that system. Moreover, I didn't grasp just from reading the rules quite how many points of interaction there are in the game. Every player was blocked and thwarted to some extent at least once during the game. There's competition for city spaces (otherwise it gets more expensive to build there) and access to provinces, a race to get the best cards from the card row and, towards the end of the game, we found that blocking routes into cities was possible too. I also had fun with picking the production (Prefect) action when an opponent's storehouse was already full, so he couldn't benefit from the windfall. I felt there was a tension between getting my plans completed as quickly as possible before someone got in my way and taking advantage of opportunities that presented themselves. Tactical opportunities include – a player just played a card you want to copy with the Diplomat; attractive new cards just appeared on the card row; someone's Prefect refreshed the bonus tile board, giving you the chance to grab some goods, and so on. The cards you buy all score you points at the end of the game, so I guess the idea is to watch that the actions you're buying tie in with the scoring categories you're going for. Do you look for a balance across the scoring categories, or go heavily into one in particular? I was buying Colonist cards, which allowed you to create more colonists and also had the Mars scoring category on them, giving you points for, guess what… colonists. Seemed like a no-brainer to me, and I scored a large chunk of points from Mars. However, the game ended before I could really make good use of all those colonists, and other players spread much further across the board with only two or three colonists at their disposal. Perhaps I should have gone for a bit more balance. The rules hint at, but don't explicitly state the importance of brick in this game. There's a god that scores for your non-brick cities, which makes you wonder why brick has been excluded there. The reason seems to be that it's already vital during the game, and the designer didn't want it counting again at the end. You have to spend a brick every time you want to build in a non-brick city, which can add up to a lot of bricks. Given this, it seems key to get access to a brick city early in the game, preferably in a province that is going to be chosen to produce goods a lot. I speak from painful experience here: there's probably a strategy whereby you ignore brick cities and buy all the brick you need from the market, but my first play of the game ought not to have been the place to try it! It says 90 minutes on the box and took us a little over 2 hours for a four player game, including rules explanation. I didn't feel like there was any significant down time. The rare longer pauses were because someone had been blocked and had to rethink their immediate plans. Simon had another appointment after our game, so deliberately sped things up, rushing to build all his houses, just to make sure we finished in time. Even though he was motivated by considerations external to the game, it appeared to be a viable way to play. Ending the game with other players on the back foot could work out well for you, although in this case, Kate just edged him out in final scoring. My daughter's exploration of this one continues. This time she managed to talk my wife into playing for the first time. I had previously purposely avoided trying to get my wife to play, as I thought trying to puzzle out how to place pieces would annoy here. Luckily, she didn't have too bad a time, and amusingly I miscalculated my very first placement. By the middle of the game it looked like either my wife or daughter would get the Gonzaga bonus for most connected pieces while I had many things just one annoying space apart from each other which would be hard to connect. So instead I focused on harbor building and ended with three of the bonuses for harbor sets. This let me slightly win over my daughter 91 to 88, while my wife was farther back at 67 due to only getting half her hidden goals. My wife and daughter also joined me in a rare victory over the Forbidden Desert. I was able to use the Meteorologist decently probably for the first time ever, mostly to avoid getting hit by the sun. My daughter was the Archeologist and kept us from getting buried in sand. My wife the Explorer ended up picking up almost all the pieces thanks to her ability to get around the board. I blew some dust off the Black Box to figure out if this was worth keeping. My youngest son joined me to test things out, and right away I was confused with how things worked so went to BGG for a refresher. We then stumbled through a first game that I won 38 to 21 and I realized two things. First, I did like the game but needed to play it more to be comfortable with it, and second, I was afraid of screwing up the cards as I managed to keep grabbing them slightly weirdly. We took a break for lunch and I ran out to get some proper sleeves for the game, which, of course, meant I could no longer use the insert. Sigh. My son was slightly annoyed at my first victory but played a second time and got really annoyed with me. This time I won 38 to 12 as I took advantage of something that allowed me to use complete my buildings taking cards directly from the pool rather than having them visit my stock area first. At this point I knew I wanted to keep the game as it is a good option as an alternative to the Magic the Gathering sessions my boys have been doing lately; however, I was afraid my son would never want to play again. So after dinner I forced a third session by getting my oldest son to join us. This time I ended up trying something almost the reverse of the previous game, as I had a card that would score for things in my store area and I had some easy ways to accumulate cards into there. However, my youngest son was going for the card that allows an instant win if you get all the clients and building materials (we are still playing the "friendlier" republic rules), so I started stealing anything I thought he would want from the pool while my oldest son threatened to end the game early with Catacombs? (card with a skull on it). My youngest son then got several things into his vault and ended the game on buildings and won 40 to my 33 and his brothers 25. I think he is happier with the game after that session. 19/11/370 plays of 14/10/172 total games, with 3/0/37 expansions employed. Plays with 10/8/95 distinct opponents. I'd reflected last week that the 7 player game was horrendous: three players (even with the Leader and City cards that are unfamiliar) isn't too bad. Since there are on the order of 4 new cards per player that need to be looked up per rulebook by each player, a three player game pays a 36-lookup penalty (tractable, even if a bit slow) while the 7 player game has a 196-lookup penalty (annoyingly slow) against a single rulebook(*). Of course, last week's game also added 16 new wonders that needed to be looked up in another folio, resulting in most of an hour of up-looking before Howl's Moving Castle lurched into play. 1x _8.5_ Go - This was a first play for him: we went with a 9x9 board, and I (coward that I am) only gave him 5 stones. (Some of that was provoked by the taunting beforehand. I'd told him there was Absolutely No Way he could beat me at Go - meaning, specifically, on the 19x19 board with no handicap. And I didn't mean him per se: I don't think it's conceivable that any beginner could beat me: the gulf is too large. But he interpreted me to say that I didn't think he (specifically) could beat me (regardless of how many stones I gave him.) So 5 was my cowardly "I think I can withstand this many, even if he plays well and I play badly." We then walked through another game with a five stone handicap where I suggested plays for him: he annihilated me in that scenario - demonstrating again conclusively that I'm more than capable of defeating myself. 1x _7.3_ Bohnanza - The Bean Duel - and a cool thing it is. I don't usually buy a third beanfield, but it worked Really Well this time out. 1x _8_ Outpost - And then a pair of snowball games: I pitched Phoenicia as Outpost following the arc of civilization of the first couple ages of Through the Ages, and he was sold: but he wanted to play Outpost first to review the mechanics. And he likes Outpost, too. This one wasn't his best game: I normally go (like Aliza, as it happens) for the Microbiotics (or whatever those pink factories are called.) But they didn't come out until very late in this game and so I competed against him for the yellow techs. And then found that my hand limit wasn't giving me trouble. 1x _7.3_ Phoenicia - In the end, though, he declared that he liked Phoenicia better. It's faster; a bit more generous in terms of payments; a bit more resonant of theme for the youngster. (Perhaps he's a closet German: don't Space Themes play poorly there?) In any event, our Phoenicia game took about half as long as the Outpost one, and the final results were "closer" (though, to be fair, I think the natural grouping is closer; so it might be only the case that final score spread in Outpost means very little. 1x _6.7_ Union vs. Central (32 months dusty) - This one is long, slow, and really really nasty. Think an insane mix of a logistics exercise and a "take that" game with more sharp edges than one could shake a stick at. And a not-totally-necessary railway theme for color. 1x _7.3_ Clubs New! - A cute climbing game with a "no points for you" pit waiting for whoever goes out last. I played really incredibly badly in this one (it was somewhat embarrassing) but it was still fun. The game is quite sensible, and I think I could develop some competence eventually. 1x _7.7_ We Will Wok You New! - This one was surprisingly entertaining. It's a two-level accumulation game: one layer is the buying of ingredients; the other a selection of woks based on the playing of those ingredients. The game asks interesting questions of timing and precedence; and the result works very well. Not complex; not terribly serious; but it's still pretty cool. 2x _6_ 6 Nimmt! - It's a dorky thing: any game where a completely random pseudo-player can win is pretty silly. Our two games used the two different variants of which I'm aware: we were playing with 4, so one game used cards 1-44; and the other used the 44 out of the whole 104 card set. I think I prefer the former, but both are amusing. 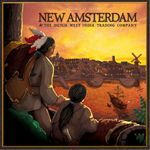 1x _8_ New Amsterdam (with Expansion!) 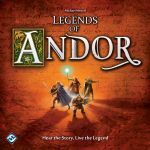 - I can admit that we played the expansion, but I expect that the details there are still distinctly in flux - so quibbling specifically about the dynamics here isn't appropriate. I really enjoy the base game: it's got a lovely direct brutality. The expansion mutated a lot of things in the original game - making something that was really very different out of familiar themes. I think portions of this expansion have potential - and I'm a bit more dubious about other bits. 1x _7.7_ Google Datacenter Manager - It's a silly thing, but still amusing for me. I hope it worked for the others, too. 1x _6_ In the Shadow of the Emperor (63 months dusty) - Very cool to get it in play - even if I placed a distant last. It reminded me rather more than I might prefer of my first game of Terra Mystica: I spent too much time doing things that didn't score, and too little time doing things that did. I'd love another try; but if takes another five years, I'll have likely forgotten everything again. Outlook for the week: I'm on call, which will limit play somewhat. I'd hope to get in a game or six with son #2; a game (or two) with daughter #1; and hope to convince some of the Wednesday Night guys to come to my place, since I'll not be able to go anywhere else. I might get something in play on Friday, but there's no gaming likely this coming weekend. Yesterday we dusted off Merkator and I stayed about 2 steps ahead of Sam, getting the 14 point card and a solid win. It's time to start planning for this year's GCL holiday card exchange. To our new people, it's a low key affair; I draw names out of a hat and you send a card to that person. If you want to participate, send me your name and address via geekmail, and I'll do the swap in about a week. AMSP Weekend! I got stuck working later than expected so I didn't get in till rather late on Friday night. Stupid work. Why the hell did I let my friends talk me into playing this? I've avoided playing b/c it just looked boring to me and I really should have trusted my gut. Everyone else was crazy for it so I was dubbed the grumpy old man...again. We have a room full of great games and my buddies want to waste 2 hours playing this. Really? Sigh. Nothing real memorable with either session. Wins were split between sides but both were just kind of meh affairs. It continues to amaze me how much room for clever play and delightful emergent relationships are packed into about 30 minutes. Love it. I'm amused that it seems like I almost always finish in 2nd place in this one. I'm not real sure what that means. Probably something about engaging in meaningful relationships but being taken advantage of. Sounds about right. A 5p session that we used the expansion for and the Horned Rat. A wonderful session in which the Horned Rat dashed out to an early lead and looked on the verge of getting the auto win on dial advancements. This diverted the attention of Khorne and Nurgle to smack the Horned Rat down. I was thrilled as that allowed me to worm my way from the back of the pack into a close win by being in on all 3 of the last areas to be corrupted. I thought we had a kingmaker situation in the last battle of the game. Khorne killed 2 guys and decided to pick off both my guys because "you annoyed me more earlier in the game." It made no difference to Khorne as he wasn't close to winning but it bumped me to 2nd when the area was corrupted and the dude that was on my heels in the game up to 1st. I was highly ticked since Khorne had a rather silly reason for his move. I absolutely despise that kind of stuff at the game table. I was glad that at the end of the game the point spread was enough to cover the Khorne move without it being an issue. This game really doesn't fit the normal type of games I enjoy. So much for being consistent. However, I have noticed that the more plays I have the less chaotic feeling it is and the game really opens up with an experienced table. It isn't just a chaotic, dice chucker which it might appear to be at first. A quick game while supper was cooking. I enjoy KB but I don't get super excited about it like some folks. 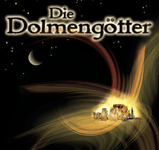 Honestly, I'd rather play Die Dolmengotter. Supper was taking longer to grill than anticipated so it granted me enough time to teach the guys Love Letter. I wasn't surprised when it turned out to be a hit. I was a bit surprised that it only got played once. A 4p game with 3 of the players being new to the game. I opted to teach them just the basic game. Once again the game proved to be popular with everyone at the table. It clocked in right around 60 minutes for us and provides plenty of meaningful decisions in that time. I pulled away for a win as I've gotten better at learning to stretch my money a bit and hit the VP scores during the game better. I look forward to getting a few more experienced players and exploring the advanced game. I ended Saturday night with a 3p game of Pax. Just an absolute brutal session. I didn't have an enterprise the entire damn game. In fact, there was a huge shortage of enterprises for about the first 1/2 of the game. To make it even worse we had an extended Depression during that time. Just ugly. We ended up going the distance with the new player winning on money. My only chance was on Revolution. I had all the points I needed but couldn't get the regime to flip. I was ready for 2 topples without a regime flip coming out. UGH. When one finally did I grabbed it but it was a troop card that needed to be played in Sonora. Only one problem, no Sonora enterprises anywhere and no more would show up the rest of the game. Khmer was the first game I've played with my girlfriend, so it was a pretty big deal. She's very aware of the investment I have in gaming by the way, but has shied away from any encouragement that she might want to play something. I think we can safely call this 'the D&D effect.' At least here in America. Anyway, it was a great play, one night after dinner sitting at the window with a storm outside. We chased each other into a 5 point tie. I thought she'd be a natural gamer, she's smart but she's also got this competitive edge about her, and she really was good, figuring out the game and coming from behind. Our last hand came down to one of those chases where neither of us got in a secure zone, but she knocked when we were both tied one below the middle so I got the win. Innovation was a spectacular one. I teched up and he got a plateau going, dogma'd Masonry to get more cards down & get the Special Achievement, then he grabbed the leaf lead & started spamming Agriculture when he was drawing Era 3, scoring heaps and getting in the control seat for both attack cards and the score pile. But he didn't have a draw engine, he couldn't control game tempo. I teched up from the get go. With a restrained plateau & heading straight upward all the way. When he was still in Era 4 I drew my first Era 10 card. It wasn't going to be a slam tho, because he led in all icons but bulbs and, of course...clocks. Damn, it was a classic faceoff. I'd nearly gone too high too fast. There wasn't the usual thieving tho... he never was able to steal himself up the tech ladder, I played conservative, setting up for a kill while he sat on a fat score pile drawing his way up the Era's by himself, slowly but shutting me out of achievements. He was up 5-0 before I brought him to a stop. I took one achievement just before he could grab his winner, forcing him to draw all the way through another Era before he could meld his next and winning achievement. I won on points, using dBases to flatten his score pile & drawing out the 10's with some psychotic interconnected draw engine that'd presented itself while tossing a few 10's into the score pile en route. Only Seasons online and Ascension solo on iOS this week. The past two weeks haven't seen any variety for me in terms of games. I just haven't really played any face-to-face games at all. The upcoming week will see some games played as I'm going back to St.John's for the Remembrance Day long weekend. If my import of Essen titles arrives by Friday, I hope I'll have something interesting to add next week. If not, I'm guessing some combination of the following will be played: Carrara, Troyes, Ginkgopolis, Lords of Waterdeep, Bruges, Seasons, Mage Knight, and Pandemic. If it does arrive, Bruxelles 1893 will probably be at the top of the play pile since there has been very little discussion on this one so far. I'd also like to try Caverna and I'm sure I could add some modules to Ginkgopolis. So much school work this week. Still not wild about this one, though I was a big fan of the source material. I won the game largely through luck of drawing some cards that worked well together and challenges that went well with my skills. No particularly tough or interesting decisions. Fine for...um...this was me being flexible with the group and playing something I didn't really want to play. I asserted my dominance over my puny foes with a score of 123 (which is good for me) that was ~25-30 more than 2nd place. VIVA LAS HALFLINGS! Nice cooperative experience where the story/objectives are slow-rolled to you during gameplay. This one saw a bunch of enemies advancing on the castle (which we had to protect) while a message needed to be carried across the map, so we had objectives in 2 locations which made things interesting. This might make for a good Friday morning game for the neighbor and I, though I'm thinking it'll be best with 4 players. I just signed up for classes for the Winter semester (more math, more German and Art Appreciation to balance out the math). Gaming-wise, I'm hoping to have my first play of Tammany Hall this week. Any suggestions from the Phoenices? This week saw no new games and replays of a few games I haven't seen in a year or more. They were dusty, as Dave would say. It's always nice to replay older titles, especially as I anticipate much newness coming down the pike post-Essen. Mid-week I played Lords of Vegas, a game I always like and consider terribly underrated by BGGers at large. This game was won by very striking turns of fortune as one player several times got the best rolls possible and no one could fight him as a result. I'll long remember when he came to gamble $25 million in my casino, I laid off half the bet to the bank and he hit for a double payoff. He made $50M and half of it came from me, breaking me for the turn. Friday, the new Commander (EDH) preconstructed decks came out for Magic and I picked up my prepaid set of five. These contain some fun reprints as well as ~50 new cards designed especially for EDH. We celebrated with three games of EDH over the weekend and me and my gf both started designing decks around new legends. We had our usual Saturday game of the Pathfinder Card Game. It was the third game in a row that has felt flat, so maybe the bloom is off the rose here and the rating will have to fall soon. It may also be we have been lucky and that has caused a lack of tension. We will at least finish out this adventure pack, so the next three games (or more, if we experience failure) will determine the long term health of this title. We followed this up with Tribune. I play this game about twice a year and that seems about right. The game is always fun but not revolutionary and I enjoy revisiting it. The rules are simple enough that I barely have to review them and we can jump right in. I was marked as the leader going into the final turn, but I knew I wasn't that close and couldn't close it out before another player. Then onto 7 Wonders. Nothing too much to report here except that I solidified my opinion that Cities is very good and Leaders is resoundingly mediocre. This was played with Cities and without Leaders for the first time and this is the best way to play 7 Wonders. I cannot recommend Cities enough if you like the base game. We closed out the night with (one of) Knizia's Beowulf game(s). It's an ok game I am happy to play, but is heavily luck-driven. Sunday included Hanabi and a game of Carcassonne Caveman, as I like to call Hunters & Gatherers. I've said it before and I'll say it again, but this is a fantastic version of Carcassonne. The changes are minor but they make a big difference for me. It clearly took concepts from the two most liked Carcassonne expansions (I&C, T&B), simplified them and integrated them into the basic structure. The result is a much more interesting game than Carcassonne that is at once more cohesive. Highly recommended to anyone that likes Carcassonne at all. Pandemic, Timeline and Scotland Yard were all iPad plays throughout the weekend with the gf, hanging out on the couch. It's very difficult to win as Mr. X in Scotland Yard, in stark contrast to Letters from Whitechapel. 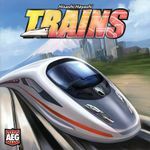 Last Monday, S and I had a wickedly fast game of Trains that ended in a tie. She likes this game, probably more than I do, because it does play fast and there's very little down time. After that, we didn't get anything to the table until Friday when P came over and we played Pathfinder Adventure Card Game: Rise of the Runelords – Base Set. The three of us played through the second and third scenarios of the base game. 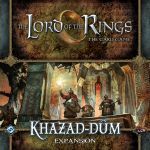 I look forward to breaking open the first expansion that came with the base game, however, after playing The Lord of the Rings: The Card Game (the very next day), it became very clear that I really prefer the latter. And this is after 75 plays. Although Pathfinder allows for characters to evolve from one play to the next, I just don't find the decision making as deep/challenging as in Lord of the Rings. Game related story: My wife was talking to her former boss last week and the subject of gaming came up. Apparently he was in a local coffee shop and beside the bible reading table, there were some guys playing some fantasy card game. From his description, she thinks they were playing Magic: The Gathering, but she didn't want to confess any knowledge of what he was talking about so she played ignorant. I've got no planned plays, but after all the cooperative games on the weekend, I'd like to get back to playing something competitive. Archipelago is over due for a play, but I've also got a couple unopened games (Bruges and De Vulgari Eloquentia) that I'd like to get on the table. Me, JC, Dayton. An unsatisfying play. Me, Dave E., Dave P., Shelby, Kevin - new to all. This was not the base game, but a blind playtest of an expansion that the designer sent to Dave E.
This takes the clean brutal simplicity of the base game and layers a few complexities on top -- wrinkles in resources, turn order becoming even more important, city majorities getting more important. Some small changes with big strategy implications. The length of the game was an issue but as I said, we were not playing the final version. Me, Dave P., Kevin, Shelby. First play for all but Dave. My first play of this crazy filler. On your turn, you play a card from your hand that doesn't match anything already in your tableau, possibly do its special action, and then turn passes to the player whose color card you played. Can't legally play one of the shrinking number of cards in your hand? You lose. Play your last card? You win. Some skill, lots of luck, and definitely a good player-summoning game. I find myself less and less interested in gaming with Eve, as I hinted at last week. Not sure how to handle this. Stuart had promised to bring his Essen fresh Caverna to Rugby on Board this week and he taught it in his usual assured style. This is a BIG game, it has been described as Agricola 2.0, and if looking only at quantity and quality of components a more accurate description would be Agricola plus. While it is possible to play with up to seven, this did not sound like a good idea for a first play, and we stuck to five and still needed three tables. While describing Caverna it makes sense to compare it to Agricola, if you've not played latter then you are not my intended audience (and you really should). Firstly there is a lot in common with Agricola. Your round, flat discs that were a 15th century farming family are now round, squat dwarves. The harvest, requirements to feed, collection of resources to build rooms and improvements, collection and breeding of animals all work in a similar way to Agricola or Agricola all creatures big and small. Though there are more frequent feeding requirements than Agricola, food is also more readily available and without the need for cooking or baking improvements meaning while the ignominy of begging exists, the pressure of the famine is much less than in Agricola. In Caverna there are additional options open to you, meaning unlike Agricola, the strategies to win the game are open. There are an almost overwhelming number of options from the start allowing diversification and specialization. Unlike Agricola there are no cards, instead cave improvement tiles are available from the start which grant one off or continuous bonuses, or end game points. We played with the basic game tiles and there are many more in the advanced game. One the Weapon-smith becomes available you can also spend Ore to fit your dwarf family with weapons that allow you to go on missions (choose 1-4 actions/resources equal to or less than your weapon level). Lower level weapons get you a single resource, an animal or a grain, at higher levels you can carry out farming actions, dig your cave and get the rarer animals. After each mission you also upgrade your weapon by one, so there is an incentive to go on missions first and often. Weapon toting dwarves are restricted in that they are played last of your actions and then in order from lowest to highest weapon. This means your best armed dwarf will go last, likely blocked from the more powerful actions. This restriction may be skipped by spending a single Ruby (the games joker resource). Rubies are extremely valuable and can be used at any time in exchange for resources, animals or to convert farm and cave spaces. Like Agricola, and many other worker placement games, once an action has been taken that round other workers are blocked from taking it. In Caverna however, Uwe introduces a mimic space, in which you can pay food to use any action taken by an opponent. In the five player game there are two such spaces costing 2 and 4 food apiece. These make the game feel much less brutal than Agricola and are obviously powerful, becoming fiercely contested as the game progressed. While there are a greater number of options, the end scoring has been simplified. Points are awarded and written on fenced pastures and cave tiles and then a single point is awarded for each animal, vegetable (grain are .5 of a point each) and each family member. Two points are deducted for each of the four farm animal types you are missing, and one minus point for each unused cave or farm tile. This leads to relatively higher end scores than Agricola - we failed to finish our game, calling time on round 10 of 12, totaling our scores at that point the lowest was 26 to a high of 59 (though my high score was padded by a mistake I made in converting animals in one of the buildings I didn't pick up on until half way through to my groans and everyone elses smiles as they could discount my otherwise clearly dominating position). I expect a winning game score with five players would be in the range of 75-95 after a couple of plays. So what did I think? It was brilliant and overwhelming. While it went very long (over 3.5 hours) we were so engrossed none of us had realised the time, that the pub had emptied, and was near to closing. We are planning to play again next week which, if we have the same group, should play much more quickly. I don't know yet if it is as good as Agricola, it doesn't have the cards that I love and it appears even more fiddly in terms of set up and replenishment of resources, however if it comes anywhere close, and if it plays reasonably with two, it will be a definite purchase for me - as soon as there is any UK stock available. Last played this in China a couple of years ago, we put this on the table thinking it would work well with (game playing) family. 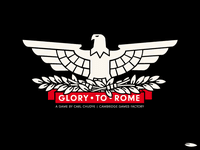 It proved an excellent choice and all enjoyed it so much we immediately played again. The small number of choices and the auction mechanic were useful for limiting the decisions of my sometimes AP paralysed brother-in-law though to the amusement of all he would sometimes feign a drawn out pause when ultimately out bid in an auction. Also played with family. This was played by the adults as our children still to young to participate. I was terrible at this dexterity game, but it was diverting enough and I'm looking forward to trying it with the kid though it might be some time before he isn't tempted to try to eat the delicious looking components.